Images and sky chart updated. Also, the comet is now harder to see in areas near city lights. 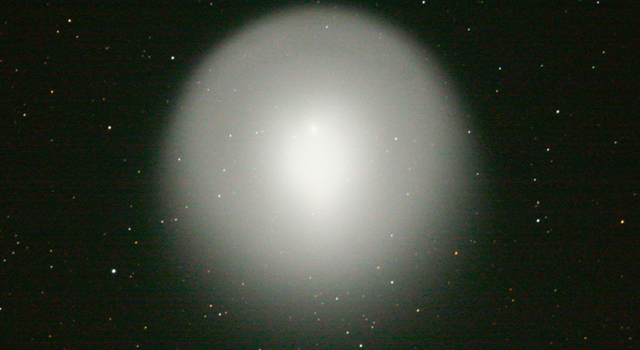 Usually comets are challenging little no-see-um fuzzballs. To see one often requires a dark sky, a good chart or a telescope that can "go-to" the object automatically. 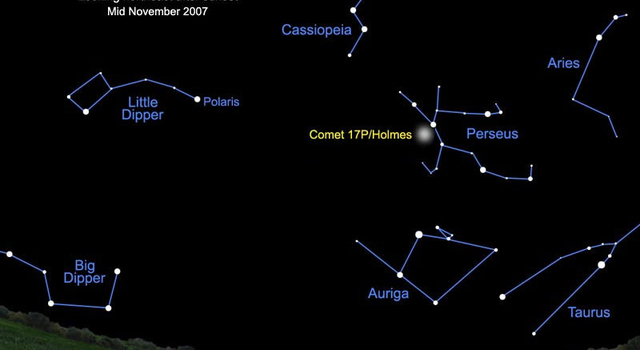 This week there is a newly visible comet in the sky and it can be seen with the unaided eye! Last week, Periodic comet Holmes (17P/Holmes), a very faint comet far from the sun experienced an outburst and brightened a million times in just a few hours. 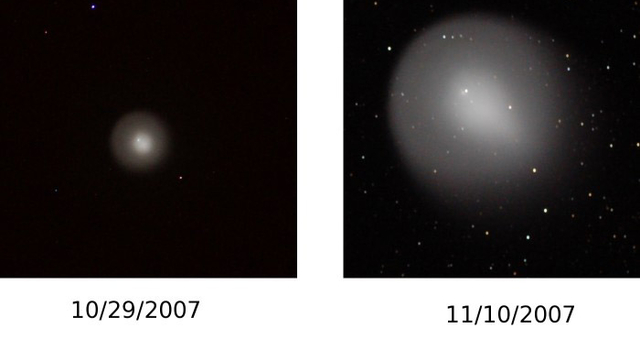 The comet puffed up (it's still expanding), changed color and wowed viewers around the world. 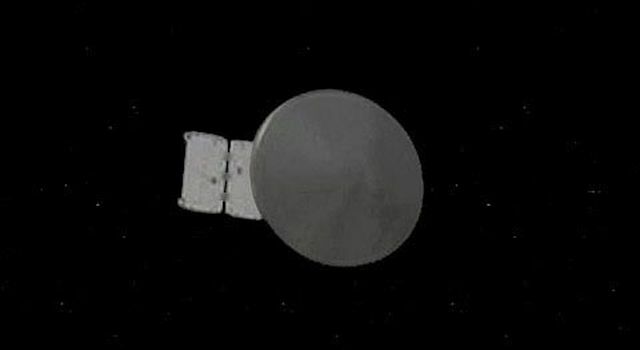 The Astronomy Photo of the day for October 30 (visit: http://antwrp.gsfc.nasa.gov/apod/ap071030.html) shows the comet's current apparent size in the sky - compared to Jupiter, which you can also see in the west after sunset. To see the comet, all you have to do is step outside and look to the Northeast. You should be able to see the "W" that is the constellation Cassiopeia - it's standing on its end. One and a half "fists" away to the right is a bright star in the constellation Perseus. You probably won't be able to see all the Perseus stars, but the bright one - Mirfak - should be visible. It marks the top of a triangle, which is about the size of your thumb held at arms length away. The triangle's lower left corner is the comet! Use our sky chart to help you find the comet. The comet will stay with us for a while, so weather permitting, you'll get a look this week or next.